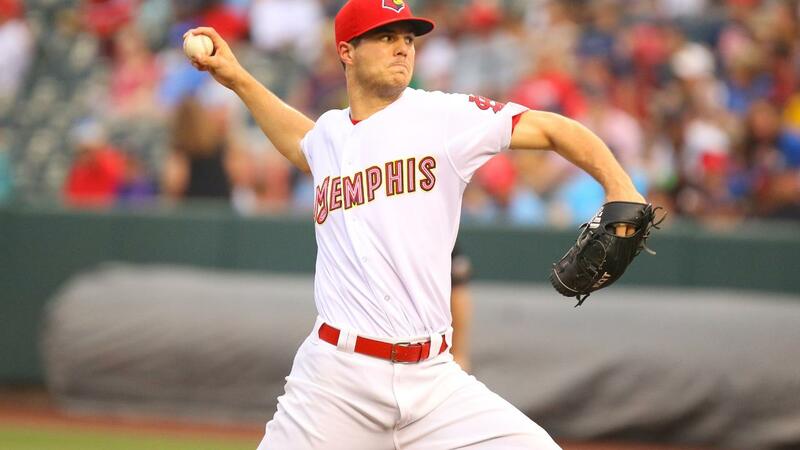 MEMPHIS, Tennessee - The Memphis Redbirds (37-24) shutout the Tacoma Rainiers (Mariners) 6-0, Thursday night at AutoZone Park to win the season series two games to one. The 'Birds pounded out 12 hits on the night to back starter Dakota Hudson, who pitched six dominant innings to earn his seventh win of the season. Hudson allowed just three hits and two walks, while striking out four. Hudson now leads the PCL with seven wins, and is 4-2 with a 1.40 ERA in six starts since May 1. Matt Bowman and Greg Holland, both on rehab assignments from St. Louis, combined to pitch 2.0 shutout innings in relief. Andrew Morales pitched the final frame for the 'Birds, striking out two to seal the win. At the plate, Max Schrock, Patrick Wisdom, Tyler O'Neill, Alex Mejia, and Carson Kelly all collected multi-hit games to lead the 'Birds to victory. Schrock, Mejia and O'Neill all notched RBIs on the night, while Oscar Mercado's lone hit of the night drove in two runners in the eighth to cap off a three-run inning. Memphis finished the night with 12 hits, more than it had recorded in its last two games combined. Memphis will take on the Reno Aces (Diamondbacks) in the next four games to finish the homestand. For more information on single-game tickets and ticket mini-memberships, visit www.memphisredbirds.com.